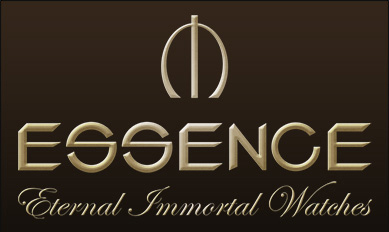 Essence company, founded in 1979, is one of the leading watch manufacturers, using know-how technologies. The world's best watchmakers and designers elaborate and produce Essence watches. Essence is one of the few watch companies, making its models of modern durable materials – ceramics, stainless steel, wolframium and different shades of gold. Moreover, the company represents a wide assortment of wrist watches, among which men's and women's collections take their decent places. Essence models' shapes chastity, their inimitable designers' execution and elegance won't leave anyone indifferent. Nevertheless, design and high quality movements are not the only Essence brand's watches advantages. You can't forget about the main thing – the ceramics cases, the watches are equipped with. One of the 20th century's most durable materials is ceramics, which is obtained by fritting a rare metal, lanthanum, in specialized furnaces at the temperature of about 2000 degrees Celsius and resulting in a super-firm material. The material is the second most firm after diamond. It is evident, that the watch, made of this material, will be super-firm and protected from scratches and outer damages. Moreover, such watch's owner can be sure, that their color will stay the same. Ceramic watches are water, salt and high temperature-proof and have hypoallergenic characteristics. 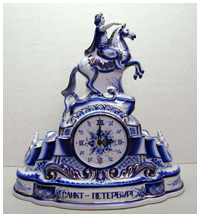 In the watch manufacture ceramics is usually combined with other metals, like wolframium, which possesses dark shine, giving watches and other products their unique charm and elegance. No other coating can compete with wolframium's natural color and shine. Nowadays ceramics and wolframium are used in watch production by not so many watch companies, but such watches are getting more and more popular every day, thanks to their durability and high quality. There's one more notable fact: one could think that ceramic watches should be more expensive, but it's not true. A proof of this fact can be found among Essence models, which can be bought at rather reasonable prices. Essence collections include elegant tourbillons, luxurious and inimitable models, equipped with automatic movements and classic and sports models, executed in different versions and designers' executions. Essence watches are characterized not only with high quality materials and movements, but they are also tailor-made and sharp-edged. It is also possible thanks to the materials they are made of. Essence models' high quality is proved by an ISO 9001 certificate. The company also produces watches, made of 316L stainless steel. The watch craftsmen chose scratch resistant sapphire crystals for the colorful dials' protection. The models are completed with steel bracelets or leather straps. The watches are water resistant up to 30 metres. Essence watches are equipped with Swiss quartz or automatic movements. Exquisite Essence tourbillons are equipped with automatic movements. The watches' cases are made of stainless steel and the elegant and varied guilloched dials are covered with sapphire crystals. There's a flying tourbillon at the “6” position. The model is water resistant up to 50 metres. The tourbillons are produced in limited edition. An elegant and inimitable Essence watch is a luxurious accessory for both men and women, wishing to emphasize their strong personality and delicate taste. You can buy an Essence watch from the company's official dealers or order them online.